I have been blessed by John Farese's website over the years, where I have found many helpful resources. He has many good Reformed links to check out, including a set of links to Reformed Baptist (and other) online sermons. If you are looking for a Reformed Baptist church in your area, you may also want to check out his Reformed Baptist Church Directory. I am thankful for God's work in John's life and wanted to share his testimony with all of the blog's readers. Soli Deo Gloria! What is a "Baptizoblogodebate"? Well, that is the title that Justin Taylor has given to the informal "credobaptism-paedobaptism-membership-Lord's Supper debate" that has been taking place on the internet. It focuses primarily upon the recent discussion begun on the internet regarding the matter of baptism and church membership. This discussion began when John Piper responded to the changes Wayne Grudem has made in his most recent edition of his Systematic Theology, and then was followed by a posted letter from Grudem in response to Piper. I posted about this exchange back on August 9. However, in a recent article at the "Between Two Worlds" blog, Justin Taylor has done a good job of bringing together the various contributions to the discussion made by other scholars and leaders, including Mark Dever of 9 Marks, Abraham Piper (John's son), Sam Storms, and Ligon Duncan. I am grateful to Justin for helpfully putting this information together in one place and encourage those interested in this continuing discussion to read his August 21 blog entry entitled "Baptizoblogodebate Roundup (with Breaking News)". Why Did "Mother" Teresa Lack Assurance? A new, innocuously titled book, Mother Teresa: Come Be My Light (Doubleday), consisting primarily of correspondence between Teresa and her confessors and superiors over a period of 66 years, provides the spiritual counterpoint to a life known mostly through its works. The letters, many of them preserved against her wishes (she had requested that they be destroyed but was overruled by her church), reveal that for the last nearly half-century of her life she felt no presence of God whatsoever — or, as the book's compiler and editor, the Rev. Brian Kolodiejchuk, writes, "neither in her heart or in the eucharist." That absence seems to have started at almost precisely the time she began tending the poor and dying in Calcutta, and — except for a five-week break in 1959 — never abated. 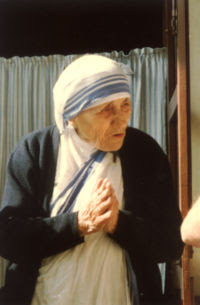 Although perpetually cheery in public, the Teresa of the letters lived in a state of deep and abiding spiritual pain. In more than 40 communications, many of which have never before been published, she bemoans the "dryness," "darkness," "loneliness" and "torture" she is undergoing. She compares the experience to hell and at one point says it has driven her to doubt the existence of heaven and even of God. She is acutely aware of the discrepancy between her inner state and her public demeanor. "The smile," she writes, is "a mask" or "a cloak that covers everything." Similarly, she wonders whether she is engaged in verbal deception. "I spoke as if my very heart was in love with God — tender, personal love," she remarks to an adviser. "If you were [there], you would have said, 'What hypocrisy.'" Yes, hypocrisy is exactly what it should be called. But the really sad and truly tragic thing about this revelation isn't that it showed the hypocrisy of Teresa. The really pitiful reality that it shows is what happens to a person who trusts in good works rather than in the grace of God for salvation. Her horrible battle should remind us all that no amount of "good works," not even from the most renowned doer of good works in modern times, can bring assurance of salvation. The only thing that can bring assurance of salvation is trust in the work of Christ alone by the grace of God alone. Of course, only God can know Teresa's heart, but if her surviving letters -- the ones she tried to have destroyed -- are any indication, the poor woman never had the kind of assurance that the Scriptures say can be had by those who have a genuine faith in Christ. This is taken from a small sample thus far, and I hope that there will be many other respondents to the poll over the coming year. There are 335 days left to vote, so if you haven't responded yet, scroll down to the bottom of the page and weigh in. It is also interesting that the articles describing Reformed Baptists at both Wikipedia and Theopedia do not include adherence to the Baptist Confession of 1689 as necessary to being Reformed Baptist. For example, the Wikipedia article states that Reformed Baptists "typically adhere to the 1644 or 1689 Baptist Confession of Faith." And the Theopedia article states that they "quite often adhere to either the First or Second London Baptist Confession of 1644 and 1689 respectively." In addition, the Wikipedia article lists the Fellowship of Independent Reformed Evangelicals among the associations considered to be Reformed Baptist, although it does not adhere to either of the aforementioned confessions. And both of the articles include Founders Ministries, which also does not adhere to either of these confessions. Anyway, I am eager to see what this year's poll shows. Wayne Grudem has rewritten a section of his Systematic Theology text entitled "Do Churches Need to Be Divided Over Baptism?" in the chapter on baptism. He changed his stance on whether or not baptism should be required for church membership by Baptist churches. He no longer advocates that membership without believer's baptism should be allowed. This was reported yesterday at Justin Taylor's Between Two Worlds blog. Earlier today John Piper posted a blog article entitled Response to Grudem on Baptism and Church Membership taking exception with Wayne Grudem over the change. This should not be surprising given Piper's own stance on the subject in recent years. 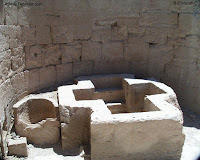 It is well known that he has advocated removing the requirement of believer's baptism for membership at his own church. Anyway, later today at the Desiring God blog Wayne Grudem's Response to Piper was also posted. I hope this will result in a continued dialog between the two of them online. They have been good friends for many years and are both able representatives of their respective views. Their exchange is and can continue to be a model for loving Christian conversation about an important matter. In the process they could provide a valuable help for the rest of us in thinking through this important issue. I know at Immanuel Baptist, where I currently serve as an elder, we have taken the same position as Grudem. So far I have found no reason to change my stance on the matter, but I certainly welcome the informed discussion and hope that it will continue for a bit. I have installed Ubuntu on an older PC, and it really is a nice Linux distribution. Setup couldn't have been easier. The main problem I have had with making a change from the Windows operating system, however, has been that it will not run e-Sword, my favorite Bible study software program (and it's free!). So I was really excited to discover Ubuntu CE (Christian Edition), which has integrated e-Sword. The goal of Ubuntu Christian Edition is to bring the power and security of Ubuntu to Christians. Ubuntu Christian Edition is suitable for both desktop and server use. 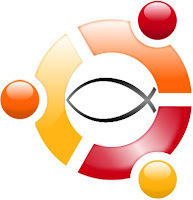 The current Ubuntu Christian Edition release supports PC (Intel x86). Along with the standard Ubuntu applications, Ubuntu Christian Edition includes the best available Christian software. The latest release contains GnomeSword, BibleMemorizer, the e-Sword Installer with Module Manager, The Word Installer, Firefox Web Browser with Bible Fox Theme, and much more. Ubuntu Christian Edition also includes fully integrated web content parental controls powered by Dansguardian. A graphical tool to adjust the parental control settings has also been developed specifically for Ubuntu Christian Edition. These features are truly what sets Ubuntu Christian Edition apart. You can view screenshots of Ubuntu CE here. I like that it offers OpenOffice, which I use all the time anyway. But I would definitely get rid of or not install the Virtual Rosary!